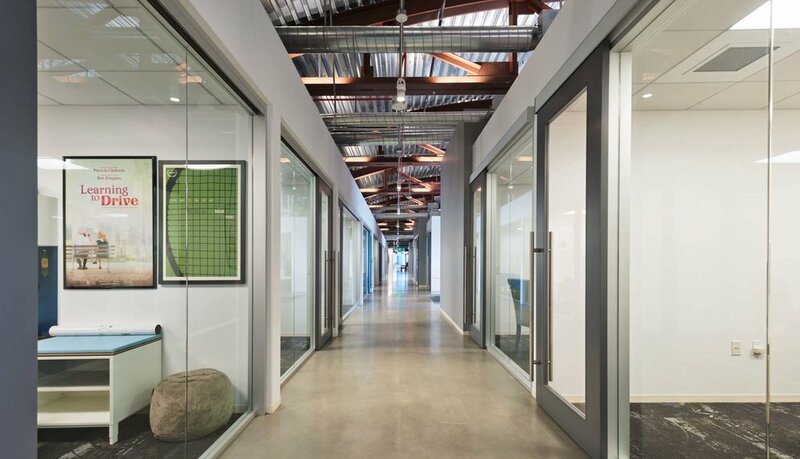 Introducing Hollywood's latest 36,296 SF premier sublease: a high-end Gensler designed full floor creative office on an entertainment campus. There is also potential for additional space up to 100,000 SF if desired, direct lease only. The design layout includes a unique 16' metal bowtruss ceiling in 1/3 of the space, and a 13' concrete lid ceiling in the balance of the space. It is also fully furnished with brand new Herman Miller furniture throughout. With an excess of $200/SF of tenant improvements, this space is composed of 3 state-of-the-art conference rooms with full audio and video technology, 41 workstations, 2 editing rooms, and a 50-60 dining area seating capacity. It also has custom sliding glass doors at all 81 offices. For tenant enjoyment there is a commercial grade kitchen, a barista bar, and a 30 person sound-proofed screening room with projection equipment. It is available immediately at $3.40/SF/month NNN and the term lasts thru August 31, 2026. There is a 3/1000 parking ratio at $150/space for unreserved and $250/space for reserved spaces, 11 of which are in preferred locations. Let me know of any interest, happy to help!